Remote access to dedicated rack of servers with one enterprise class PC Server per student, an iSCSI SAN, etc. This powerful 5-day, 10 hour per day extended hours class is an intensive introduction to VMware vSphere™ including VMware ESXi™ 6.7 and vCenter™ 6.7. 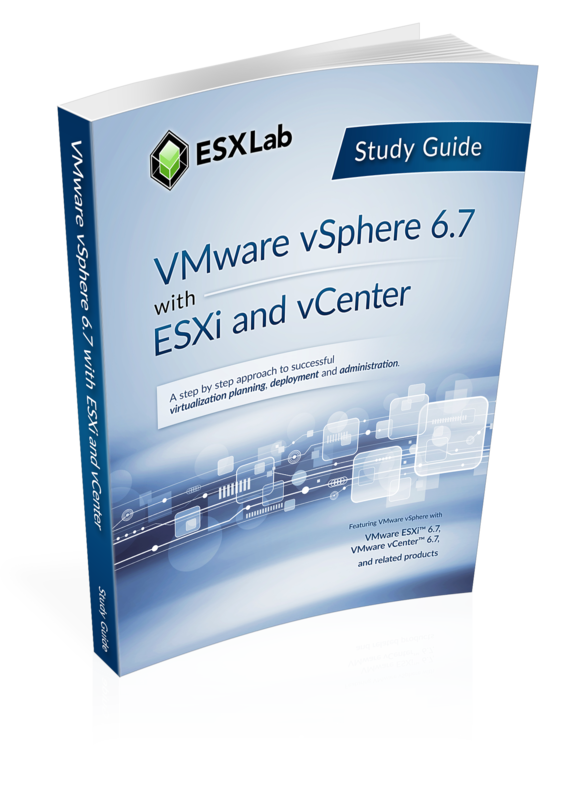 This course has been completely rewritten to reflect the most recent changes introduced in vSphere 6.7. Our courseware and labs have been fully updated and now use Host Client and Web Client rather than legacy vSphere Client for both presentation material and lab procedures. Labs start with installation and configuration of stand-alone ESXi servers and progress to shared storage, networking and centralized management. The class continues to advanced topics including resource balancing, high availability, power management, back up and recovery, performance, vCenter redundancy, VM redundancy. Disaster preparedness, rapid deployment and VM cold, hot and storage migration. By the end of the class, attendees will have the knowledge, skills, and best practices to design, implement, deploy, configure, monitor, manage and troubleshoot vSphere 6.7 installations. By the end of this course, attendees will have acquired all of the knowledge and hands-on skill required to successfully challenge Certified Virtualization Professional (CVP) exam. Please check with your training partner to see if a CVP exam voucher is included in the price of this course.